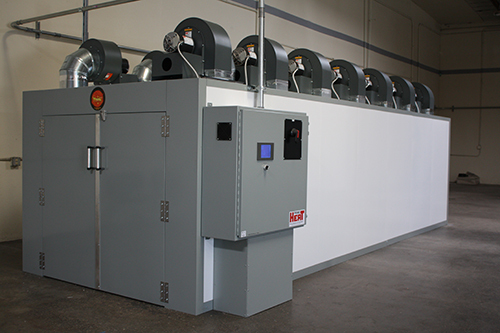 This is a very versatile system in that you can program it to run any coating. On the 5” touch screen you can have 10 cure menu’s and all you do is press the one you want. 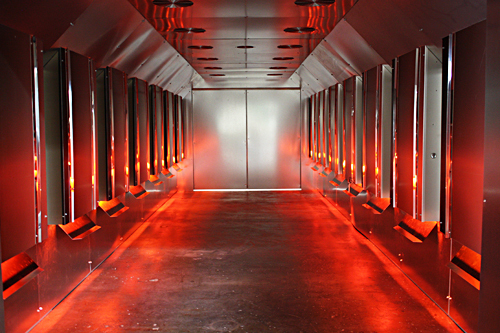 Based on the cure program, the tunnel will start with warm air, then medium wave heat to a preset set point and then 2 levels of short wave heat to preset temperatures. 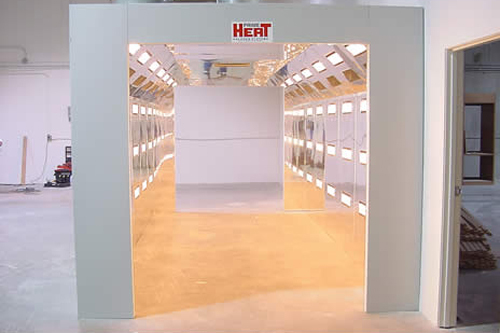 This allows you to gently ramp up a solvent coating and give it the required time for flash and cure. On most water based coatings you go directly to short wave heat. Once the program has timed out, open the doors and pull your completely cured product out. The halogen heat is controlled by an IR sensor with a laser pointer and the air temperature is controlled separately by a thermocouple. 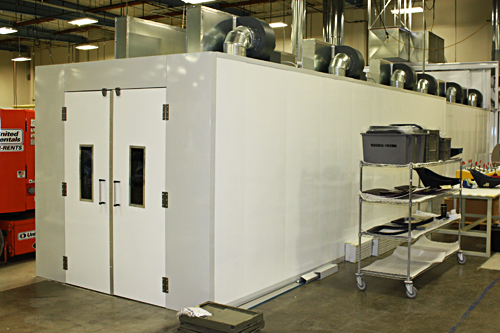 The size, length and system design is based on your part size and the coating material you are using.